Our lab studies the role of histone modifications, DNA methylation, and chromatin remodelling factors in transcriptional regulation of genes and retroelements during mouse development using next-generation sequencing technologies. We are located at the Life Science Institute, University of British Columbia, Vancouver, Canada. 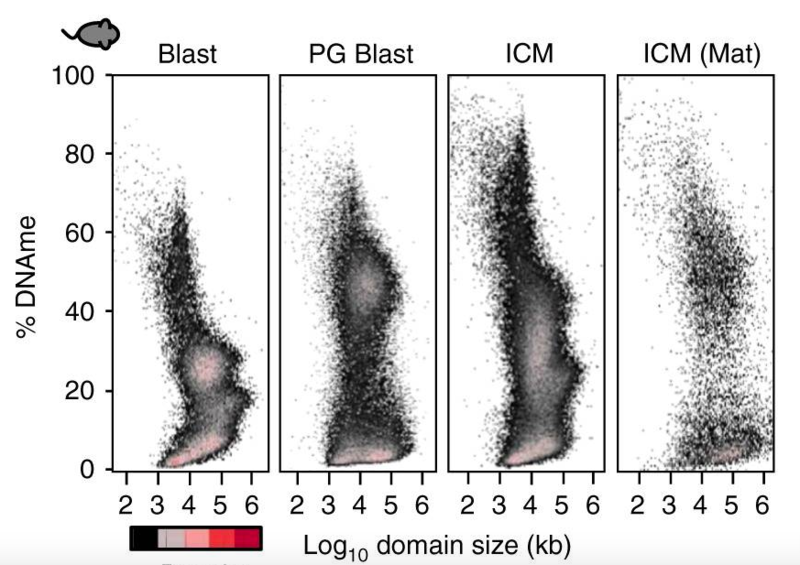 Density plot depicting the distribution of DNAme in mouse blastocyst, parthenogenetic blastocyst, inner cell mass (ICM) (C57BL/6×DBA F1 cross) and ICM (maternal allele). From Brind'Amour J, Kobayashi H, Richard Albert J, et al. LTR retrotransposons transcribed in oocytes drive species-specific and heritable changes in DNA methylation. Nat Commun. 2018.